The recent Third Plenum of the 18th Chinese Communist Party’s Central Committee inaugurated a number of significant reforms. Among the most interesting developments is China’s establishment of a new “State Security Committee” (SSC), an important step in further centralizing power into the hands of the party’s top leadership. Its primary implications are two-fold: the top leadership now has greater direct control over internal security and Chinese President Xi Jinping can now better streamline civilian and military sides of the foreign and security apparatus. In China, as in other countries, creating a new organization carries political costs, as it invites political and factional struggles as well bureaucratic turf-fights over who gets what and at whose expense. The Chinese Communist Party (CCP) already has two Leading Small Groups (SLG) on Foreign Affairs and National Security that serve as the civilian leadership’s decision-making mechanism for foreign and security policies (though the two groups are essentially one entity). It also has a Central Military Commission, as chaired by Xi, that coordinates such policies with China’s military. Creating the new SSC, then, should be able to either bring Xi political benefits that outweigh the costs, or the SSC should assume new portfolios not already covered by the existing SLGs, or preferably both. Given this context, it’s clear that the first priority of the SSC will be internal security rather than international security. While Xi himself, and to a lesser extent Premier Li Keqiang’s faction (as represented by the Vice President Li Yuanchao), already enjoy authority over foreign affairs and national security, what they do not have sufficient control over is the controversial domestic security or weiwen (“stability maintenance”) portfolio, which is currently managed by the CCP’s Central Politics and Law Commission (CPLC). In recent years, the CPLC’s heavy-handed treatment of China’s migrant workers, lower classes, and dissenting ethnic minorities, as well as the CPLC’s intrinsically negative impact on China’s judicial independence, have made it a key target of Chinese public resentment towards the government. To win back the hearts and minds of the Chinese people, Xi has found it essential to rein in the CPLC. This process was set in motion as early as last year. In November 2012, the post of the head of CPLC was demoted from Politburo standing committee member (which designates the top seven to nine ranks in the party) to ordinary Politburo member (top 25). In May 2013, the CPLC lost its oversight power over the important Xinjiang Affairs Coordinating Small Group. The Small Group was stripped from the CPLC and moved into the State Council’s State Ethnic Affairs Commission. Meanwhile, the CPLC Party Secretary was removed as the head of that Small Group and was replaced by the head of National People’s Political Consultative Conference, an United Front organization. At the recent Third Plenum, Xi further diminished CPLC’s influence by placing it under the rubric of the new State Security Committee. The focus on internal security is on display at the press conference after the issuance of the Third Plenum’s communiqué. When addressing a question about the new SSC’s purpose, the Foreign Ministry’s spokesperson answered that it, “should make terrorists, extremists and separatists nervous” – all are essentially domestic threats in the Chinese context. The SSC’s second effect is that it centralizes decision-making on foreign and security policy. Currently, China’s foreign and security policy apparatus is bifurcated between the government’s State Council and the Party’s Central Military Commission (CMC). The State Councilor responsible for National Security, Yang Jiechi, and the Foreign Minister, Wang Yi, provide policy advice to the president, but they do not sit on the Party’s CMC, whose membership is made up exclusively of People’s Liberation Army’s generals (with the exception of CMC’s chairman, Xi Jinping). This means the security policymaking process is fragmented. And the two arms (civilian and military) mostly meet only at the top – on an ad hoc basis at the Leading Small Groups’ meetings. 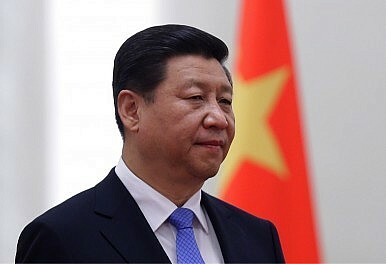 By creating the SSC, Xi can now centralize under his single coherent command these two foreign and security advisories organs, as well as other organs dealing with issues on its peripheries that can have international implications (Taiwan, Hong Kong and Macau, Ethnic Affairs, and Religious Affairs). Given that, after the Plenum, Xi described the SSC’s function as “designing and implementing national security strategy,” the SSC is expected to have decision-making power, not just perform an advisory role. The immediate question ahead is where will the SSC be housed within China’s party-state structure? There are a number of possible scenarios, with each carrying its own downside. Assigning it under the State Council (where Li is the head of government) will create the awkward situation of having Xi lead an entity that’s technically under Li’s oversight. Creating it as a new national-level (zhengguoji) agency on a par with the State Council or the National People’s Congress will otherwise seem like a reasonable solution, given the SSC’s expected stature as the paramount national security decision-making body. But, at least in theory, this will usurp the CCP’s control over the military, as Xi will be leading it in his capacity as PRC president rather than CCP’s general secretary. This will strengthen the office of the PRC presidency at the expense of the CCP’s general secretary role, and generate too many undesirable complications for party-state and party-military relations. Perhaps the more straightforward solution is to house the SSC within the party itself. If that happened, however, the SSC will most likely be positioned as a vice national-level agency (fuguoji danwei) in the Chinese organizational hierarchy. This would make it difficult for the SSC to effectively coordinate relevant portfolios that are currently under the oversight of national-level agencies that are higher up in the hierarchy, such as the National’s People’s Congress and the CMC. If Xi truly is able to make the SSC the primary national security decision-making body as he promised, then we may expect to see a more coherent Chinese foreign policy, and witness fewer incidents where the foreign policy team’s charm offensive towards its neighbors are rendered moot by ill-timed military exercises or provocations in the South China Sea and beyond. China watchers, especially, may be entitled to feel generally less concerned about future provocative offhand remarks by Chinese military officers, wondering whether they represent the official security policy. Wen-Ti Sung is an Asian Studies Fellow at the East-West Center in Washington and a PhD candidate at the Australian National University.